Should an employee’s background check, interview notes, and benefit information be kept separate from the personnel file? As a best practice (and in certain instances it is legally required), employers should keep certain employee records and information in a confidential file separate from the personnel or employee file. Below is general best practice guidance regarding personnel and confidential files and recordkeeping you may find useful. Basic Information. This category includes personal information such as the employee’s full name, address, and emergency contact information. Job Performance and Development. This is a broad category that may encompass documents such as performance evaluations and supervisory or management notes regarding performance issues; corrective action or disciplinary letters; awards, nominations, and other commendation letters; promotion records; and records of trainings or education. Employment-Related Agreements. Any aspect of the employment relationship which is governed by an agreement between the parties, such as an employment agreement, union contracts, noncompetition agreement, confidentiality or nondisclosure agreement, should be kept in the personnel file. Compensation. This category includes documents related to compensation and relevant changes to an employee’s pay and position for future reference. (Payroll records should be retained by the payroll department or in a separate file along with Forms W-4, garnishment documentation, time records, absences, etc.). Termination and Post-Employment Information. Information related to an employee’s termination should be kept on file should a dispute later arise. Compile all documents and retain in archive including exit interview forms (if applicable) and any final employee performance appraisal, as well as a record of documents provided to the employee along with the final paycheck (e.g., termination letter, benefits notices, unemployment compensation forms, etc.). Medical benefit records and documents that relate to an injury or disability. Material relating to workers’ compensation claims. Family and medical leave documents. Forms W-4, if not maintained in payroll. Documents pertaining to sensitive matters, such as harassment investigation records or any information pertaining to an employee’s religion (such as a request for Jewish holidays off as a reasonable accommodation). I-9 documents must be maintained in a separate file or binder for all active and inactive employees until appropriate destroy dates are met. Some employers may also retain aptitude test scores, background check results, and credit reports in the employee’s confidential file, though it is recommended that documents relative to a hiring decision should also be retained in the recruiting file, yet still maintain protection of private information (i.e. date of birth and Social Security number). We recently made some changes to our handbook policies regarding benefits offered to employees and have a disclaimer stating, “The Company reserves the exclusive right to change or terminate any benefits or related policy at any time in accordance with applicable law.” Are we required to have employees sign a new acknowledgment of the handbook because of these recent changes? Yes, employees should be required to sign an acknowledgment noting that they are aware of any new policies or changes to existing policies. Any new or changed policy should be provided to employees through the distribution of a new handbook accompanied by a brief memo directing the employees to the locations of the changes and requesting an updated acknowledgment signature. Without distributing and getting proof of receipt, the changed policies may be difficult to point to when correcting, disciplining, or terminating an employee. Most employers update their handbooks every one to two years. If there is a major change to an integral policy, that may be distributed separately and added to the handbook as an addendum until the next revision. While not required, handbooks are a best practice in order to minimize risk. Clearly articulated and distributed handbooks can supplement a defense against many compliance issues such as, but not limited to, claims of sexual harassment, wrongful termination, and discrimination. Explanation of to whom the Handbook and its policies apply. Disclaimer that handbook is not a contract and the right to change policies without notice. Leave of absence and family and medical leave policy (if applicable). Paid time off/vacation/sick leave policies. Lastly, because a handbook is not legally mandatory, it may contain whatever information an employer wishes to impart to its employees. In addition, handbooks are traditionally separate from benefits summaries and other health and welfare plan materials, although the handbook may discuss employee status (full time, part-time, etc.) and may refer employees to benefit plan materials. Further, handbooks do not need to outline company job positions or titles; this can be maintained separately in the job descriptions. As a best practice, we recommend reviewing new or modified policies with counsel prior to implementation. If you’re like most human resources practitioners, you face the annual benefits enrollment with a mixture of dread and anticipation each year. Dread for the expected price increases and anticipation for newer, less expensive and better plans that may be easier to administer and more valued by employees. This year brings an added complication—uncertainty. With the Trump administration and Congress proposing significant changes in healthcare and tax reform and new twists being reported in the news every day, you and your employees undoubtedly have questions about what these proposals might mean for your insurance plans. New appointees to the federal regulatory agencies, such as the Occupational Safety and Health Commission, the National Labor Relations Board and the Equal Employment Opportunity Commission, to name a few, also have the potential to impact your safety and employment law risks. Our advice? Get ahead of the game and start the planning early. Open discussions with your broker and begin to consider how to best ensure your employees get all the information they need in a format that works for them. Together with your broker and internal management teams, develop an employee communication strategy. Keeping in mind that employees are hearing and reading about health care reform, you’ll need to be prepared to help them separate the fact from the speculation. This year, anxiety could be playing a large role in your employees’ lives. In fact, a recent survey by Woman’s Day magazine found that 82 percent of respondents worry about finances, particularly the rising cost of healthcare, and 84 percent of women are concerned about the status of health care reform. Properly designed, positioned, and communicated, the employee benefits package is one of the best tools in your arsenal to attract the right talent, enhance employee engagement, and retain the most valuable employees. Today’s employees expect more. In fact, according to a recent survey sponsored by Anthem Life Insurance Company, more than one in three millennial job applicants have turned down job offers with poor health insurance that didn’t meet their needs. Although millennials are the largest group in the workforce today, they are not alone in their expectations. The same survey found that 27 percent of those from other age brackets responded that they also declined job offers due to an employer’s lackluster benefits offer. Other surveys are finding the same results relating not only with attracting new employees but also in retaining them. Employees today expect their employers to be creative, consider employee needs, make the benefits easy to use, and offer them choices to help manage their lifestyles. Besides health insurance, benefits protecting their incomes, such as disability insurance, financial planning and retirement benefits are important. In addition, consider that employees are tech savvy and expect to have online tools and calculators, along with complete communications, to assist them in making decisions regarding their insurance options. Packaging benefits by target group and promoting messaging that speaks to that group’s needs while consistently reinforcing the overall benefits strategy and employer branding in the messaging. Different communications delivery systems may also be important to different employee groups. Starting the messaging with “why” the benefits are structured as they are and “what” the company’s overall benefits strategy is designed to accomplish for employees. 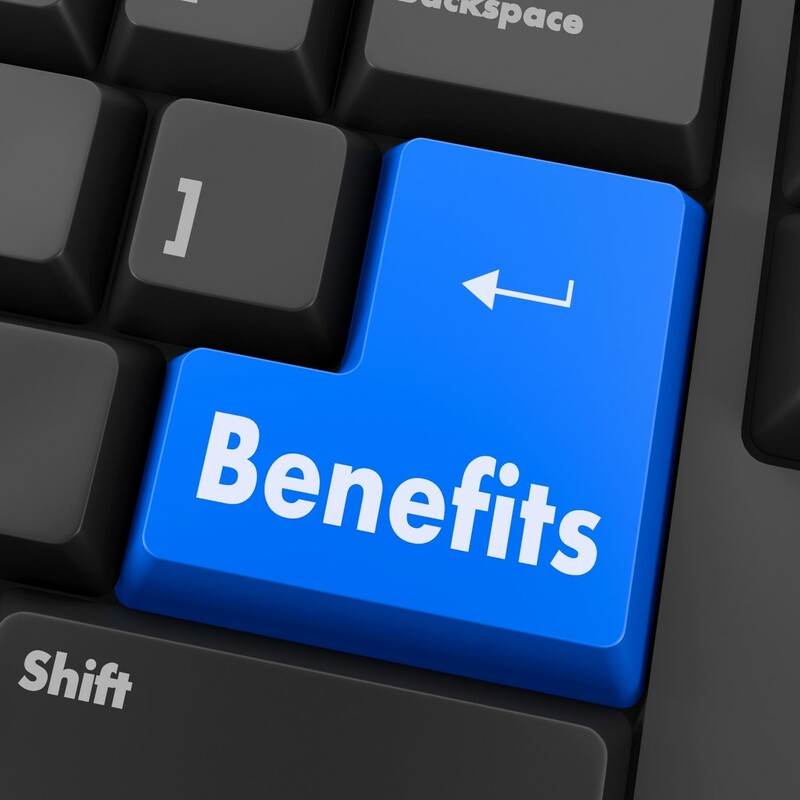 Most employees are smart, so don’t sugarcoat any bad news about changes in the benefits program. This is a good time to highlight the important value of their benefits programs, promote wellness, encourage retirement savings, and incent cost-effective usage of benefits programs. Being ready to address the questions triggered by the federal and state proposals to change tax and benefits rules. Clear the misconceptions and incomplete information and focus on how the benefits package has been designed to comply with the current laws in place. Communications delivery methods. With the variety of mediums available, the world is your oyster. Consider electronic communication, mobile apps, webinars, in-person company meetings, text messages, direct mail home to involve the entire family, social media, or even a live hotline for questions. Enrollment methods. Will enrollment be online? Manual? Mobile? Make it as administratively simple as possible for employees. Use electronic tools if the budget allows. Timing. Establish a timeline working backwards from the date that the information must be completed then work forward to deliver the communications program. The annual open enrollment communications opportunity is precious—you can influence how employees see benefits or cost changes, alleviate any fears about federal and state benefits or tax law changes that are still being considered by lawmakers and regulators, motivate employees to change their health or savings habits, and let employees know that management is listening, considering their feedback valuable, and responding to their needs. 5. An employee will pay day camp expenses for his 8-year old son and overnight camp expenses for his 12-year old daughter this summer. Are both types of expenses eligible for reimbursement? Under the IRS rules for DCSAs, expenses for food, lodging, clothing, education and entertainment are not reimbursable. If, however, such expenses are small, incidental expenses that cannot be separated from the cost of caring for the child, they may be included for reimbursement. For instance, the day camp may include lunch, snacks, and some sports activities in its basic fee which would be eligible for reimbursement. 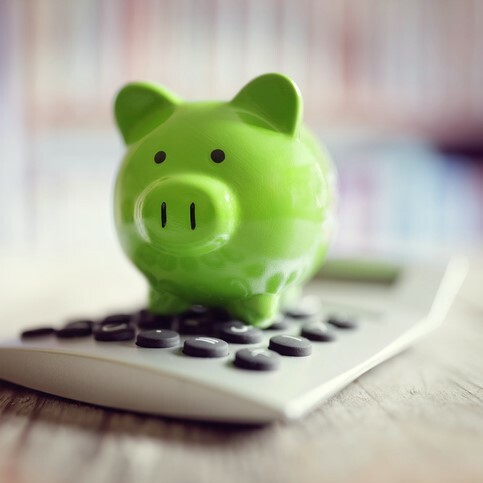 For detailed information about expenses eligible for DCSA reimbursement, the IRS provides a helpful guide: Publication 503 “Child and Dependent Care Expenses.” Have a fun summer! Retaining skilled employees is a significant issue for any business. A high rate of employee turnover can result in a loss of knowledge and skills, as well as have a direct impact on a company’s bottom line. The cost of losing an employee includes not only lost productivity, but also the expense of recruiting, selecting and training a new employee. Consider the ideas presented below to help reduce turnover and increase satisfaction among your company’s valued employees. Employee attitude surveys allow your staffers to give confidential feedback on their opinions of your company in terms of satisfaction with the job and how their jobs and work environment might be improved. To help build a relationship of integrity and trust among company employees, the results of your survey should be communicated effectively and acted upon by your company. There are a number of different ways to conduct an employee attitude or satisfaction survey– from simply filling out a paper survey to taking an online survey or hiring a consulting firm to do all the surveying and analysis work for you. If you work with a consultant to administer an employee satisfaction survey, make sure you have access to the data. By personally reviewing the data and analysis, you’ll be able to make a better assessment of employee satisfaction. The survey results can provide you with key information on how to improve workplace processes, policies and morale to retain existing staff and attract new employees. Facilitate company’s development and change. Focus the company on specific needs or gaps in service or training. Provide management with employee feedback on company morale. Provide feedback on the impact of company policies and procedures. Results can be used to motivate employees and improve job satisfaction. A company health and wellness program refers to activities or initiatives undertaken within the workplace that are designed to support your employees’ general health and well-being. Programs will often differ from business to business in terms of the range of initiatives offered. Having your air-conditioning and heating systems checked and maintained on a regular basis. Increasing the nutritional quality of food available in the workplace. Providing desk chairs that are ergonomically designed to support the back. Empowering employees to include physical activity into their working day, such as encouraging walking at lunch. Providing incentives such as such subsidized memberships to local health clubs. Be sure to check with your local health clubs to see if they offer corporate rates. Providing more flexible work hours.